The future is the past. The past is the future. As long as we have you (and Atari), we’ll be ok. Join us for a pizza party New Years’ Eve with revelry, champagne, games, pizza, montages, and confetti at one of the most acclaimed arcades in history. This event is sold-out! 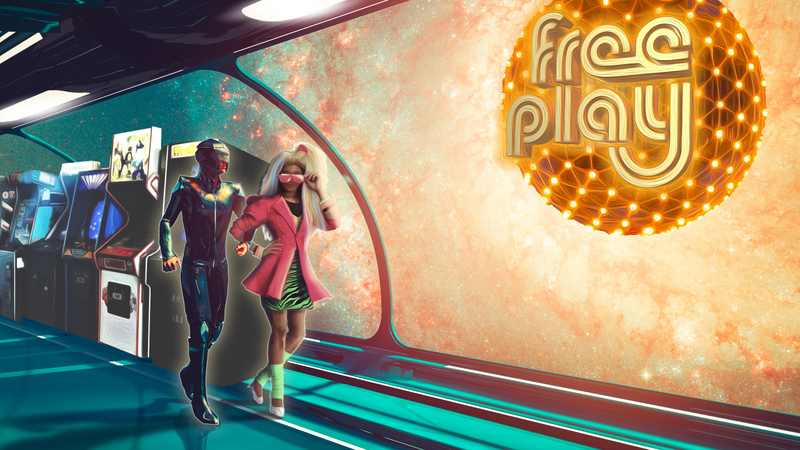 A limited number of tickets remain at our largest venue, Free Play Arlington!. This party is 21+. Two slices of pizza per person per serving unless extra. The final alcohol service at the of the night is at 1:45 AM. Confetti Launchers distributed at 11:40. This event likely to sell out. All Sales Final. Digital or print tickets accepted at door. Tickets Transferable. One Use Per Ticket.